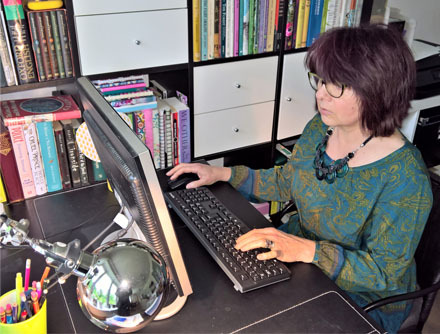 Sign up to Sue's quarterly newsletter for exclusives on her writing life, works in progress, and all sorts of other goodies. Stay up to date. Be the first to hear exciting news! Remember to add suecbentley@gmail.com to your contacts to prevent the newsletter going into your spam folder. "By filling out this form you are sharing your name and contact information freely so that I can send you information and news about me, Sue Bentley, and my books. I will treat you with consideration and respect and I will not share your contact details with anyone. If at any time you wish me to remove your information, and unsubscribe to my newsletter, please inform me and I will do so immediately. Thank You ~ Sue." Keep scrolling to see a previous newsletter. If you like what you see, please sign up! May and June have been busy, with author events and appearances etc. On Sat 12th May at the Booksmith, Weedon Bec, Northampton I was talking all things books and writing, along with Steven Neil, author of ‘The Merest Loss’ – a book fans of Downton Abbey would enjoy. If you haven’t yet discovered the hidden gem that is The Booksmith - sited in picturesque surroundings, complete with a canal out front - it’s well worth a visit. Check it out on Facebook/ Twitter @TheBooksmithUK. The Romantic Novelists Association’s Summer Party was at the Ashmolean Museum, Oxford on 17th May. Great to meet with friends old and new and congratulate Hannah Begbie, winner of the Joan Hessayon Award for New Writers, for her contemporary novel, Mother. The RNA welcomes unpublished authors. New categories for prizes include paranormal romance – which includes fantasy, steam-punk etc. Sat 19th May saw me in London on a social media course for writers – always something new to learn. 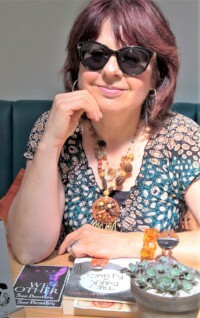 Anita Chapman @neetsmarketting.com is herself a writer and has many clients in the world of books, so really knows her stuff. The following Monday I presented the Reading Awards to students at Booth Lane College, Northampton in the company of his Worshipful the New Mayor of Northampton and the Lady Mayoress. A joyful event. No time to catch my breath. My first ever blog tour to promote launch of We Other in e-book began from 24th May and ran until 6th June, with 3 book bloggers taking part each day making 42 in total. Many thanks to Rachel of @rachelsrandomresources who curated the tour, and to all the amazing bloggers who reviewed my book and hosted me for Q&As and original features I wrote especially for the tour. What a roller-coaster of a fortnight! I thoroughly enjoyed the ride, but felt at a loose end for days after the activity and twitter madness eased-up. Delapre Festival of Books took place over the bank holiday of 26th – 28th May. Steven Neil spoke in detail about his writing process as did Kate Fulford author of the novel Inlaws and Outlaws - an hilarious spiral of events as a future daughter in-law and mother in-law struggle over the son/groom without his knowledge. Truly laugh-out-loud funny. Also enjoyed meeting award-winning book blogger Linda Hill, who spoke about the value of reviewing books. We discovered a lot in common. Linda will be hosting me on her blog in September – more about that to come in due course. My own author event in the recently refurbished Victorian library, was on the last day of the Festival. I’m always a little nervous before an appearance, but enjoyed meeting readers and signing books. It’s far more relaxing when you’re a festival punter. My recent reading; Where the World Ends by Geraldine McCaughrean – a brilliant and haunting book. And Little Bones by Janette Jenkins another fabulous book set in Victorian London. Quote from the blurb ‘with her twisted bones Jane is no ordinary girl.’ A compelling historical novel. I’d recommend both books. On my to read pile for July, is The Bedlam Stacks by Natasha Pulley and Shadow Scale by Rachel Hartman – looking forward to reading both if writing time allows. Hoping for a quiet time to get some serious writing done. More about my WIP in next month’s newsletter on Ist August 2018. Want to see where I write my books from? This video has not been made public yet so as a subscriber you get to see this video before everyone else! 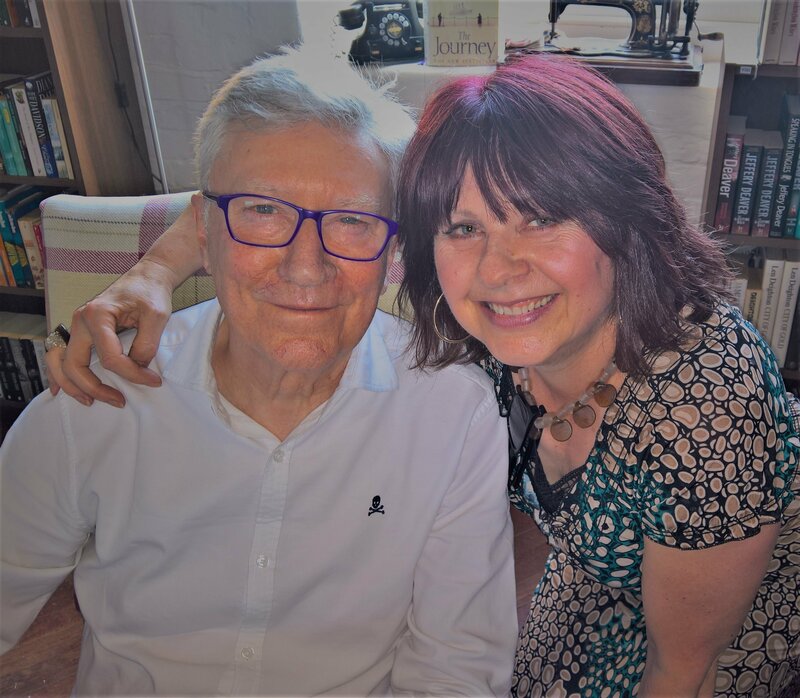 The highlight of June so far, was meeting Robin Ellis the original Poldark, and now a cookery writer, at The Booksmith. Didn’t get a lot of time to talk to him, but managed to squeeze in a photo call. Don’t often miss a chance! Watch out for @BooksInHandbag on Twitter – Jessie Cahalin on Facebook. 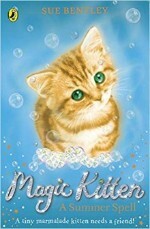 She’s hosting me on her book blog for a feature about Magic Kitten and my other children’s books. It goes live on 3rd July 2018.